During a speech in front of families of gun violence victims, President Obama announced new executive actions to curb gun violence including expanding background checks and mental health screenings. But Congressional leaders and the NRA expressed their disapproval at the president's attempts to bypass Congress. Real Clear Politics' Alexis Simendinger explains the debate. Meanwhile, North Korea claimed this week to have successfully tested a hydrogen bomb. While U.S. leaders question the claims, The New York Times' David Sanger explains the global condemnation. And on the 2016 campaign trail, Republican frontrunner Donald Trump is questioning his GOP rival Ted Cruz's eligibility to run because he was born in Canada. On the Democratic side, former President Bill Clinton hits the campaign trail for his wife Hillary Clinton. With less than a month until the Iowa caucus, TIME's Michael Scherer and The Atlantic's Molly Ball report on the state of the race. 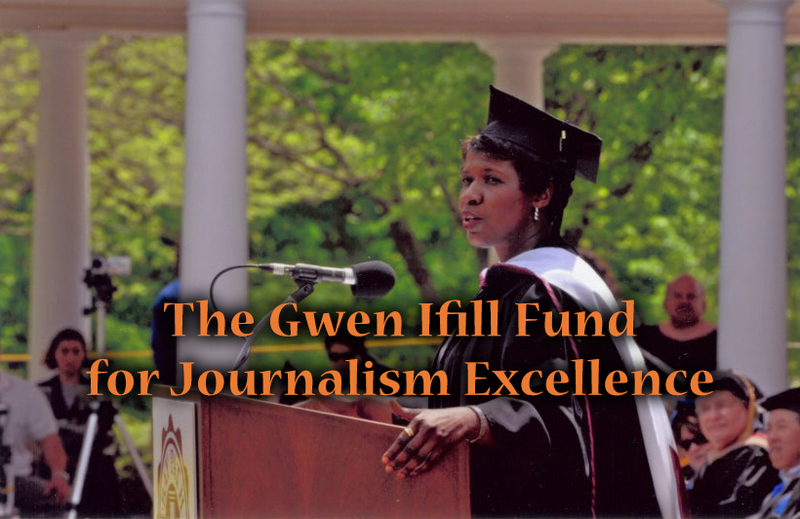 GWEN IFILL: Guns, bombs and bombshells: from the White House to Pyongyang to the campaign trail. Welcome to 2016, tonight on Washington Week. The president sheds tears at the White House as he leads a fresh charge on guns. PRESIDENT BARACK OBAMA: (From video.) I visited Newtown two days after what happened. It continues to haunt me. It was one of the worst days of my presidency. MS. IFILL: With strong new employment numbers under his belt, does he have room to maneuver on other final-term priorities? Republican candidates say no. SENATOR TED CRUZ (R-TX): (From video.) The first thing I intend to do. Rescind every single illegal and unconstitutional executive order taken by this president. OHIO GOVERNOR JOHN KASICH (R): (From video.) Executive orders where you are shoving stuff down legislators’ throat is not the way to behave. MS. IFILL: Meanwhile, old threats become new ones. MS. : (From video, thorough interpreter.) North Korea’s first hydrogen bomb test was a complete success. MS. IFILL: Does North Korea’s Kim Jong-un represent a real geopolitical threat. SECRETARY OF STATE JOHN KERRY: (From video.) Let me just make it clear, North Korea has never been left unattended to, not for one day. MS. IFILL: And the post-holiday campaign trail heats up. NEW JERSEY GOVERNOR CHRIS CHRISTIE (R): (From video.) Showtime is over, everybody. We are not electing an entertainer in chief. DONALD TRUMP: (From video.) People are worried that if he weren’t born in this country – which he wasn’t; he was born in Canada – I don’t know what it all means. MS. IFILL: – and Democrats. FORMER SECRETARY OF STATE HILLARY CLINTON: (From video voiceover.) Women’s rights are human rights, and human rights are women’s rights. MRS. CLINTON: (From video.) I’ve adopted a New Year’s resolution: I’m going to let him live in his alternative reality and I’m not going to respond. MS. IFILL: Covering the first week of a big new year: Alexis Simendinger, White House correspondent for RealClearPolitics; David Sanger, national security correspondent for The New York Times; Molly Ball, national political correspondent for The Atlantic; and Michael Scherer, Washington bureau chief for TIME Magazine. Five years ago today, a member of Congress was gunned down in a Tucson, Arizona parking lot. She survived; six others did not. This week, Gabby Giffords and many subsequent victims of gun violence returned to the White House to give the president emotional support for his latest effort to tighten gun laws. Last night he made his case to backers and critics alike at a CNN town hall meeting. PRESIDENT OBAMA: (From video.) One of the most frustrating things that – that I hear is when people say – who are opposed to any further laws – why don’t you just enforce the laws that are on the books? And those very same members of Congress then cut ATF budgets to make it impossible to enforce the law. MS. IFILL: Assuming that it’s unlikely he changed any of those minds in Congress this week, what is the president trying to accomplish here, Alexis? ALEXIS SIMENDINGER: It’s a very good question. And I think what the president wants everyone to believe and to understand from his rhetoric is that he wants to save lives. That’s what he is arguing is at the heart of what he wants to do legislatively and why he has been moved to act through his own independent actions. But the other amplification of it is he understands something about the body politic, and he’s described this desire to make this a political issue. He believes that Democrats can campaign in 2016 and win on this. He believes that the public can eventually – not while he’s president, but later – apply pressure and maybe get additional gun safety legislation through. And in a final year, this is a president looking for something to go around the country and talk about domestically. MS. IFILL: There was a lot of emotion in the East Room the day of this announcement. There were survivors from Charleston, survivors from Newtown. But did that overwhelm the facts the president came to present? MS. SIMENDINGER: You know, it was interesting. I was in the room, and it overwhelmed that room, and that was a very emotional room even before the president had gotten to that section of his remarks. And by the time that he had gotten to even describe why he was in the room – here are the initiatives that I want to take, here’s what I’m – 22 minutes had gone by. So we ended up – we in the media, the people in the room were moved, the president’s Cabinet members were moved to teary-eyed, and it did overwhelm to some extent. And the president got asked again about it, because we think of him as “no drama Obama.” Where did these tears come from? And he ended up having to describe something about himself as opposed to the message he was trying to say, that he was channeling from the rest of the country. MICHAEL SCHERER: Where is this message heading next? He started with background checks, which are actually a pretty popular issue. But are gun magazine sizes, are assault weapons, where is he headed? MS. SIMENDINGER: The president has taken what the administration put together as initiatives right after the Newtown massacre in 2012 and really boiled that down mostly to the expansion of background checks. The president has talked a little bit more, particularly in an op-ed that was published in The New York Times, about something that has some political freight in the Democratic campaign right now, which has to do with liability from gun manufacturers. He’s talked about using smart technology. He has expanded the world a little bit, but has tried to really talk about the most unifying element of the initiatives that they uncovered in 2013. And you are absolutely right, the polling is by far beyond partisan on the issue of expanding background checks. DAVID SANGER: In some ways, Alexis, this smart-gun discussion last night was the most interesting part because this is a technology people are kind of used to now with their iPhones, putting their thumbprint on and identifying it with themselves. And yet, it’s something the gun lobby’s been very much against. Tell us a little bit about the politics of this and why the president chose to go that route. MS. SIMENDINGER: Well, what’s interesting is the president, in framing this, tried to describe this as a government versus the National Rifle Association. His argument has been that the National Rifle Association has such a grip on the politics and the investments, and on the manufacturers of firearms, that the advancements in technology which would make sense, that some gun owners would appreciate – and that was the president’s argument: Why wouldn’t you appreciate this as a gun owner? He’s argued that they have put the – you know, they have really put a blockade on all of that. And I thought it was interesting, as you say, that the technology is out there to develop. He wants to invest in that. He’s trying to encourage. And he said, we’re going to do it instead of the private sector. You know, in 12 months we’ll see how much he can really do. MOLLY BALL: Well, we heard some of the Republican candidates in the intro railing against the president’s abuse of his authority. Is there any chance this is an unconstitutional overreach? Is there any legal ambiguity about what the president’s proposing to do on his own? MS. SIMENDINGER: Well, the administration made a lot of the three months it took to reexamine what they had already examined and come up with ideas in 2013, and it turned out that this is pretty small bore. This is, the president has argued and the National Rifle Association seems to agree – this is pretty small stuff. And the argument has been on both sides this is not enough, this is not going to have any – really make any dent in the causes of all of these mass shootings that we’ve seen. MS. SIMENDINGER: And they weren’t. MS. IFILL: – which is what we hear the candidates saying. They were executive actions, which could mean anything? MS. SIMENDINGER: Well, it’s interesting because executive order has – it is a term of art, and it actually – they are ordered, numbered orders that go into the Federal Register. The National Archives watches over them. There are all kinds of presidential initiatives. But this is actually administrative, the president’s arguing. He didn’t actually sign anything. The Department of Justice and his Cabinet is actually executing these things. Well, staying in the category of problems that never seem to go away, we turn now to North Korea and its purported detonation of a hydrogen bomb this week. Few believed it was actually a hydrogen bomb, but everybody condemned it. UNITED NATIONS SECRETARY-GENERAL BAN KI-MOON: (From video.) This act is profoundly destabilizing for regional security and seriously undermines international nonproliferation efforts. I condemn it unequivocally. MS. IFILL: Perhaps the most interesting condemnation, however, came from North Korea’s old friend, China. Now, first, what do we know about this test, David? MR. SANGER: Well, the evidence that it was a hydrogen bomb is pretty slim. In fact, from the start it really didn’t look like one. Kim Jong-un, the country’s leader, had been talking about developing the hydrogen bomb technology, which would allow for an explosion tens to hundreds of times greater than a normal atomic bomb. It’s a very difficult technology to accomplish. It took the United States until 1952, seven years after Hiroshima and Nagasaki, to get to it. And the explosion here, just based on the seismic test, just didn’t look large enough. But to some degree that almost misses the point. This was North Korea’s fourth nuclear test. They’ve done three under President Obama. The first one was under President Bush. It was part of an expansion of their arsenal. It’s also part of an expansion of their missile capability. And so it’s only a matter of time at this point before they will be able to merge the nuclear technology with the missile technology and reach out not only to Japan – where they could probably reach today – but eventually to the West Coast of the U.S.
MS. IFILL: But each of the previous times China has defended them, and China did not defend them this time. MR. SANGER: That’s right. China not only condemned them, but said that they needed to be punished in some way. The difficulty is how you define what kind of punishment you would go off and do. And there’s sort of a ritual to this now. They do an explosion or some other wild act – this time last year we were sitting around here talking about the cyberattack on Sony Pictures, which was also North Korea. MR. SANGER: After that, the United States did some sanctions, made very little difference. The Chinese are caught in between here. On the one hand, they don’t like the North Koreans any more than we do. They think Kim Jong-un is out of control. It’s his 33rd birthday, we think, today. If any of you have failed to send a card, this is your moment. MR. SANGER: Yeah. But they are not willing to go do the few steps that would really make a difference – turn off North Korea’s oil, lead to something that could bring about regime collapse – because they know if that happens the South Koreans and their allies, the United States, are right up on the Chinese border. MS. SIMENDINGER: David, when we all are reading about reactions – we talked about China – but there’s also this list of potential reactions that the United States is supposed to play a role in. At the top seems to be sanctions, and then there’s other things underneath, the list. Some people might not even recognize, and I didn’t, that we actually could tighten sanctions. I mean, is there something that we could do in sanctions? MR. SANGER: You know, this is a country that has been sanctioned since the Korean War ended in 1952, so there’s not a whole lot left for us to sanction. We could do some steps that could make life pretty hard for them. If there was a U.N. resolution that allowed you to intercept or stop all shipping, you could board and stop ships and cut off their hard currency. We can put more anti-missile defenses in South Korea, which would anger the Chinese and put more pressure on North Korea. There are other military steps we could take. But the fact of the matter is that nobody’s really willing to go risk a confrontation with a country whose mortars are 35 miles from Seoul. MS. BALL: The United States also has been focused, it seems, on the nuclear situation in Iran and on resolving that. Is there any sense that this is accelerating on North Korea’s part because we’ve taken our eye off the ball? MS. IFILL: I saw that Kerry seemed kind of defensive on that point. MR. SANGER: Secretary Kerry was very defensive. He came out to do sort of a New Year’s agenda with the press yesterday, mostly to complain about the Senate not confirming ambassadors and so forth. And he got rather upset when somebody asked whether we had focused too much on Iran, and he said we’ve never taken our eye off the ball of North Korea. At the same time, the strategy for North Korea was very different from Iran. It wasn’t engagement; it was strategic patience, which meant wait and make them feel more isolated. Well, when the North Koreans feel truly ignored, they go off and do things like this. MS. IFILL: And that’s what we think happened. Well, let’s move on now to politics. And let’s face it, now that we’re in 2016 everything is politics. This was the week, though, when every single candidate attempted to establish that trajectory that will lift them into Iowa and New Hampshire. For more than a few, the outcome of those two early contests will determine their political survival. Front-runner Donald Trump made his usual swipes at his Republican competitors, but he also appeared to be shifting his eyes to the general election prize. MR. TRUMP: (From video.) Oh would I love to run against Bernie. I would love – (cheers, applause) – I would – oh! (Cheers, applause.) That would be a dream come true. But actually, I must say, I have my mind set on Hillary. MS. IFILL: While Hillary’s chief surrogate – her husband, Bill – took to the road on her behalf. FORMER PRESIDENT BILL CLINTON: (From video.) Sometimes I follow this debate in presidential elections, especially when I watch the other guys debating, and I think, you know, I don’t fit anymore. I thought elections were supposed to be a job interview. MS. IFILL: And a surging Ted Cruz shrugged off new questions – raised, of course, by Trump – about the nature of his citizenship. SEN. CRUZ: (From video.) Look, as a legal matter the question is quite straightforward and settled law that the child of a U.S. citizen born abroad is a natural born citizen. MS. IFILL: So many places to begin, but let’s return to the rebirth of the birther argument. Why is that back now, Molly? MS. BALL: Because Donald Trump brought it up. And when Donald Trump dangles the bait, we in the media chase after him like the pied piper. But can you blame us? I mean, this is delicious, in a – in a way. And I – so I’m sort of in – of two minds. On the one hand, I think there is a sense that all of the sort of nativism that was – that was ginned up by the birtherism against Obama, that they’re now sort of getting a taste of their own medicine. Cruz has never engaged with this directly. His father’s flirted with this a little bit. But, you know, the sort of right-wing fever swamps more generally. MS. IFILL: Which doesn’t make sense, but it doesn’t have to. MS. BALL: But it’s an attempt to position Ted Cruz as someone who’s not one of us, right? Someone who is not American enough to be president. And so it doesn’t seem to be working, but I think that’s what Trump’s trying to do. MS. IFILL: Well, to the extent that Donald Trump, Michael, tries to basically go after whoever he sees as the nearest threat, what is – he and others – what is the arc for January? Does he have a plan? Do the others have a plan? Does Ted Cruz have a strategy here? MR. SCHERER: They all have strategies. Most of them won’t work. But right now, because of Donald Trump, we have three tickets to the nominating contest. There’s the Donald Trump ticket, which is really just a question of whether Trump can maintain the support he has. He has between 30 and 40 percent of the Republican support nationally in the early states. If he can stay there, he’s going to be in the conversation for many more months, and that’s a big question. The second ticket is the classic Iowa ticket, which is sort of the base Evangelical ticket. And on that note, Cruz is looking very good. And despite these attacks, Cruz continues to look like he has a very good shot – probably is the favorite now in Iowa to come out of there, doing very well. And that leaves this third lane where everyone else is sort of battling it out, mostly in New Hampshire. They’re playing some in Iowa as well, and this is the sort of classic establishment Republican ticket. And that’s Jeb Bush, Marco Rubio – who also is trying to play in the Cruz lane a little bit – Chris Christie, John Kasich. And it’s a very crowded space. MR. SCHERER: But all of it adds up to what looks like a very long fight. We’re not going to be in a situation, I don’t think, a month from now or even two months from now where we can sit around this table and say, wasn’t that fun? MS. IFILL: I want you guys to jump in, but I have one more question about the Democratic side. We saw a Fox News poll come out this afternoon that showed Bernie Sanders well ahead in New Hampshire. I wonder if that’s why we’re now beginning to see Hillary Clinton and her folks taking direct shots at him. MS. BALL: I think that there’s no question. I mean, Hillary has gone very aggressively against Bernie Sanders, particularly on the gun issue, and she has pointed to, you know, Obama writing this op-ed saying he wouldn’t support a candidate who didn’t meet his threshold on gun safety. One of the planks of that is something that Bernie Sanders has violated by having voted in the past for this bill that would absolve gun manufacturers from liability, and Hillary is making a lot of hay out of that. So I think she’s very – she’s dropped any pretense that she’s above the fray here, that she doesn’t have any competition, which I think has been the pretense of her campaign for the most part until now. MR. SCHERER: And then he said, but let’s talk about something else. MR. SCHERER: But it’s a very Trumpian line there to sort of raise it and throw it out there and then move on. So I think he can play in the mud as well. MR. SANGER: Can we ask about the Trump staying power issue that – with all of us here? So, back in the summer, everybody – I was as guilty of this as anyone else – thought this wasn’t going to last terribly long, right? MS. IFILL: I don’t know what you’re talking about. I was always right. MR. SANGER: Always. And so I had this one completely wrong. Mike Allen made the point in his newsletter this week that Trump has been consistently this far ahead, and today is probably slightly further ahead in the national polls than he’s – than he’s ever been. So if you look at the Republican establishment, which was saying just a few weeks ago, you know, that they couldn’t imagine this, are they beginning to contemplate a world in which they would have to get behind this nomination? MR. SCHERER: He’s no Herman Cain and he’s no Ben Carson, and he’s not going to fade like other flash-in-the-pan candidates. And that’s what we thought last summer. The question is whether he can get past 40 (percent). And right now he is – he’s risen from 20 to 30 to 40 (percent), and what the rest of them are counting on is that a majority of the Republican Party doesn’t want Trump as their nominee, and once that consolidation happens outside of the Trump lane – those other two tickets I talked about – they can get them. But I don’t think there’s any question now that – I mean, while he may fade – he may come in second in Iowa because Cruz rises, maybe even third; he may not win New Hampshire – he’s not going away. MS. BALL: He’s not Herman Cain and he’s not Newt Gingrich. But the question is, is he Howard Dean? Because, if you remember, Howard Dean is a candidate who did lead for months and months and months, right up to the eve of Iowa. And then, when he couldn’t win a single contest, he never won anything. And so that’s the last hope of the sort of possibly-in-denial Republican establishment, is that that’s the model for the Trump candidacy, is that once he reaches that voting threshold he just falls off the cliff. MS. SIMENDINGER: If you had to narrow it down to the three candidates who have the organization to last in the states that we’re looking at through March, the money, and the message, what are the three of the Republican side, do you think, now, the way we’re looking at it now? MS. BALL: I think the situation is way too volatile to rule almost anybody out at this point. I think, as Michael said, you know, you definitely have Cruz and Trump in the mix, Rubio nipping at their heels. But Christie is coming on strong in New Hampshire. I would say those are the top four right now. MR. SCHERER: I would agree with that. But the other thing is that question – who has the organization and who has the money – is not really the pertinent question this cycle. MR. SCHERER: If that was the pertinent question, we’d be talking about Jeb Bush. And Jeb Bush continues to sort of struggle and fall in the polls. He’s the guy who came in with $100 million saying, look, I got $100 million. He’s spent 50 (million dollars) of it and he’s got nothing out of it. MS. IFILL: If everybody else collapses. No, look, I don’t rule anything out. I don’t like to make predictions in general, but I really think that the situation is so in flux. There are so many players, and so many of the old rules have gone out the window this cycle. MS. IFILL: Well, let’s talk about the old rules because, I mean, we all have covered campaigns, and our brains are stuck on the old rules. It’s hard to let it go. And what we have here is a set of anomalies. But how does an anomaly win the presidency? Are we – has it changed so much that that can happen? MR. SCHERER: The presidency’s a different question. The nomination, the way a nominee wins the nomination is – you look at what’s been happening in the Republican Party since 2009, where the rebels – the outsiders – have increasingly been taking power from the Washington establishment in ways that the establishment is really unhappy about. I mean, if we look even at the candidates now, Rand Paul, Ted Cruz, these are people who came to Washington to tear it apart. Marco Rubio ran as a tea party candidate in Florida, took out the establishment Republican candidate there. And so the way it would happen, at least in the nomination phase, is that it’s a continuation of something that’s been happening in that party for four or five years now. MS. IFILL: So does that mean that, other than trying to defuse Bernie Sanders, the Hillary people are just quietly chuckling to themselves? MS. BALL: When they allow themselves to look to the general election, yeah, I think they’re pretty happy. I think they’re pretty excited by the prospect of running against either Donald Trump or Ted Cruz. Now, I think this is going to be a tough election for Hillary no matter what, but there’s no question that they’re licking their chops. And you’ve seen, she’s been running a general election campaign pretty much up to now, and she’s been talking a whole lot about Donald Trump. MS. IFILL: Well, except this week she decided she was going to stop responding, maybe because people who respond seldom end up well. MR. SCHERER: But it’s also true that Donald Trump showed this week that he can do in the Democratic Party what he’s been doing in the Republican Party. By bringing up Bill’s infidelities, he threw her off her message, he threw Bill’s rollout off his message. I mean, the number of times Bill Clinton got asked questions about things that reporters haven’t been asking about for a decade. MS. IFILL: But here’s the key: he didn’t answer. MR. SCHERER: He was very smart, yes. MS. IFILL: Four, eight years ago, he got sucked into it and he would answer, and then they’d be off message. MR. SANGER: Discipline and Bill Clinton in the same sentence. MS. IFILL: Or something. (Laughter.) Thanks, everybody. We have to go for now, but we’ll chat some more, including our preview of President Obama’s final State of the Union address, in the Washington Week Webcast Extra. You can find that all week long at PBS.org/Washington Week, where else? And keep up with developments with me and Judy Woodruff, including full coverage of the State of the Union, next week on the PBS NewsHour. And we’ll see you here next week on Washington Week. Good night.